The Université Catholique de l’Ouest is 135 years old: originally a medieval university founded in 1373, it was later reopened in 1875 and has a current student population of 12,000. 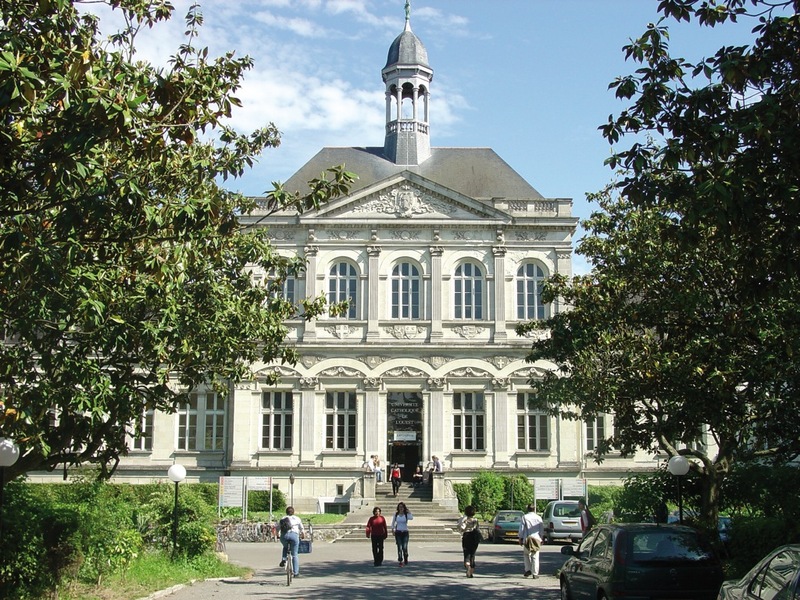 The campus is situated in downtown Angers, a mere five-minute walk from the station and the nearest bus stops; it lies just minutes away from the main shopping area, restaurants, gardens, banks and administrative offices. The university campus boasts an unusual architectural blend of old and contemporary buildings, standing in a 5-hectare park. Angers is one of the most delightful cities in France. It lies in the heart of the Loire Valley, a mere hour and a half from Paris with 15 high-speed rail connections daily (TGV). With the sixteenth largest population in France, Angers is the capital of Anjou, a famous wine producing region. This university town offers a great diversity of cultural activities: a 13th century castle, numerous museums, film festivals, theatres, music. Its inhabitants enjoy a pleasant environment with of 360 hectares of parks and gardens, and 67 kilometers of cycle paths. Angers offers visitors an efficient network of bus routes, a tramway was built in 2011.